Take advantage of our in-store promotions during our Open House Promotion. Receive 20% off all Genuine Merchandise in stock and an additional 20% off the clearance items. 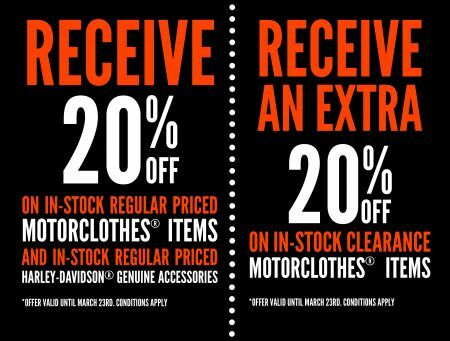 Also receive 20% off Harley-Davidson Accessories.